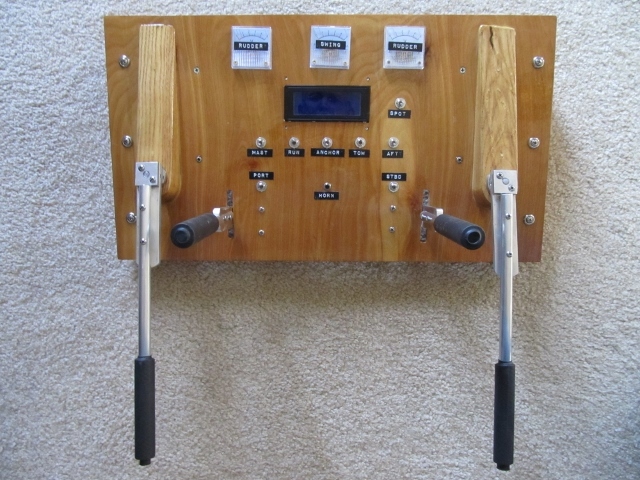 Our towboat will have a modern control panel similar to this one. It will be twin screw with azimuthing props. With the lower-center selector switch in the middle position you have independent control of each prop for close maneuvering. 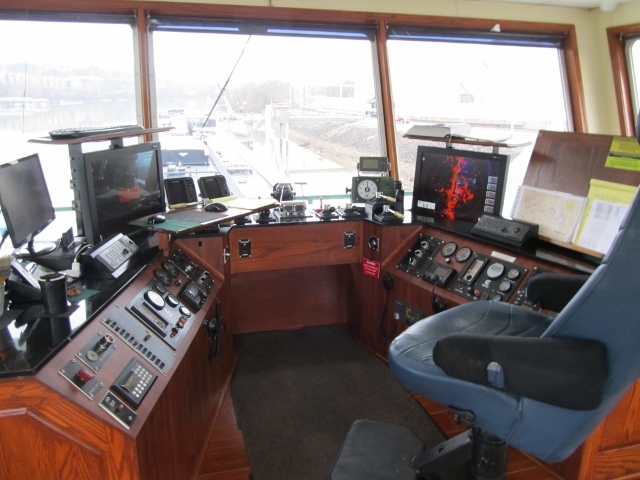 With the switch to the right or left that tiller stick controls the azimuth of both propellers to the same angle. The three gauges indicate port and starboard rudder angles with a swing meter in the center. The LCD display will show engine conditions (alarmed if needed) plus course and speed. The other switches are for selecting different light conditions.